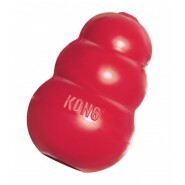 Bionic toys are fun and engineered to withstand the play patterns of even the most aggressive chewers. 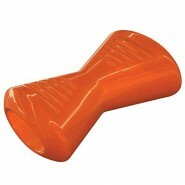 Their products are made from a proprietary material called Bionic Rubber® which is made from FDA Food Grade materials. 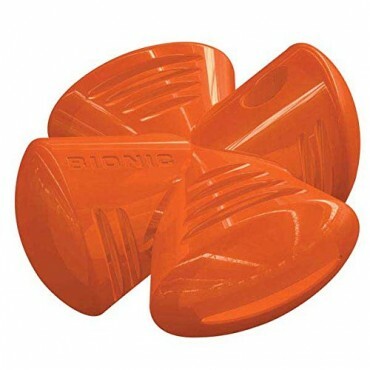 Bionic Rubber floats, is dishwasher safe and 100% recyclable. The Bionic Stuffer toy features two different sizes of hole openings allowing you to control how difficult it is for your dog to get kibble out. 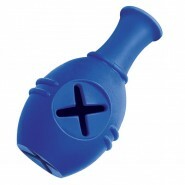 For easy play, insert smaller kibble into the holes or coin-purse area. When your dog masters the concept, you can make the toy more difficult by inserting larger kibble that can only exit through the large hole.